Test transmissions for new entertainment channel Blaze have commenced on satellite, two weeks before the grand launch of the channel, which will also be available on Freeview. 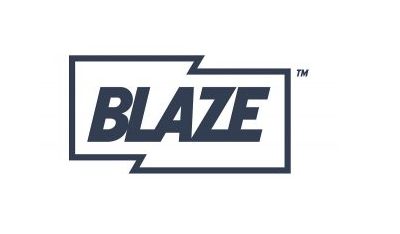 Blaze, from A+E Networks UK officially goes live at 3pm on the 20th September, and will feature a selection of programmes such as Pawn Stars, Mountain Men and American Restoration from its parent company's portfolio of pay TV channels, which include History, H2 and CI. The channel will only available in standard definition. On Freeview, space has also been created for a +1 service, not discovered on satellite yet, although it's expected that the +1 service will not run as a proper service for viewers, rather as a placeholder for A+E Networks UK on Freeview. Both pay TV services, currently only available on satellite through Sky UK, are moving transponders as ITV rejigs its satellite capacity, making use of amended parameters that allow it to carry more channels per transponder and eventually offer at least one version of every ITV region in HD on satellite. The channels continue on UK spotbeam capacity, making reception for expats and holidaymakers around the Mediterranean difficult. Changes will be automatically dealt with by Sky receivers, so viewers should not need to take any action when the frequency change is completed. ITV is unable to confirm at the moment when we are likely to see additional ITV HD regional services go live. The channel is testing both variants on satellite ahead of launching on Sky channel 153 on 19th September. Viceland is only available on satellite through Sky, as part of a deal between Vice Media and the pay TV giant, announced earlier this year. The BBC's Arabic TV service is among a number of BBC services available across most of Europe, North Africa and the Middle East that have appeared on a new frequency on the Eutelsat Hot Bird satellite cluster, for users of European or motorised satellite systems. The European and Middle East versions of BBC World Service Radio have also launched on this new frequency. The transponder already carries BBC World News TV, so the move brings more of the BBC's services together in the same place. The affected stations are moving from their home on 11117 V, so users of the Hot Bird system will need to make adjustments to continue listening or watching.